OnePlus 6T Thunder Purple variant goes official! 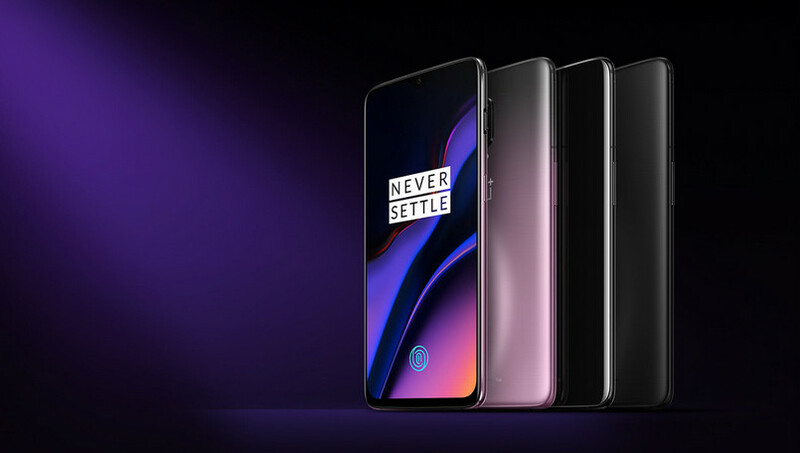 OnePlus 6T was recently launched as the new flagship from the Chinese smartphone maker and while the handset was launched in Midnight Black and Mirror Black color options, the OnePlus 6T has just received a new Thunder Purple color variant. It is worth noting that OnePlus 6T Thunder Purple variant was first spotted by a tipster on the company official website. On the other hand, the OnePlus 6T Thunder Purple variant has been launched during an event in China while the new color option is expected to be available in India soon. However, the Thunder Purple option is currently available with the 8GB RAM/128GB storage option of the OnePlus 6T. To quickly recap, the highlights of the new OnePlut 6T include the waterdrop-like notch, under display fingerprint scanner, and the absence of the 3.5mm audio socket from the bottom of the device. The device is powered by Qualcomm Snapdragon 845 SoC. The OnePlus 6T comes with the same set of specifications as well as features and sports a 6.41-inch Full HD+ (1080 × 2340 pixels) Optic AMOLED display with 19.5:9 aspect ratio and Corning Gorilla Glass 6 protection. It is powered by Qualcomm’s Octa-Core Qualcomm Snapdragon 845 10nm processor clocked at 2.8GHz and paired with Adreno 630 GPU. While it runs Android 9.0 Pie with OxygenOS 9.0 on top, the whole package is backed by a 3700mAh battery with Dash Charge (5V – 4A). Other features include an in-display fingerprint sensor, water and dust resistance, USB Type-C audio, Dirac HD Sound, Bottom-facing speaker, dual rear cameras with 16-megapixel + 20-megapixel sensors and a 16-megapixel front sensor. The only other change that is present in the device is on the operating system end of things. The OnePlus devices sold in China don’t run the Android-powered Oxygen OS operating system, and instead, run Android-powered Hydrogen OS. The difference between the two versions is that Hydrogen OS does not come with integrated Google services because these services are not available in China. There is no information on whether OnePlus will launch this new color variant in markets outside China. This means that if you want your hands on this color variant then you will have to source it from China. It is possible that OnePlus may launch the color variant in other markets sooner than later. What do you think about the new color? Would you buy if it rolls out in India? Let us know in the comments below.